Bridgewater State Hospital has been under fire for the treatment of its population. 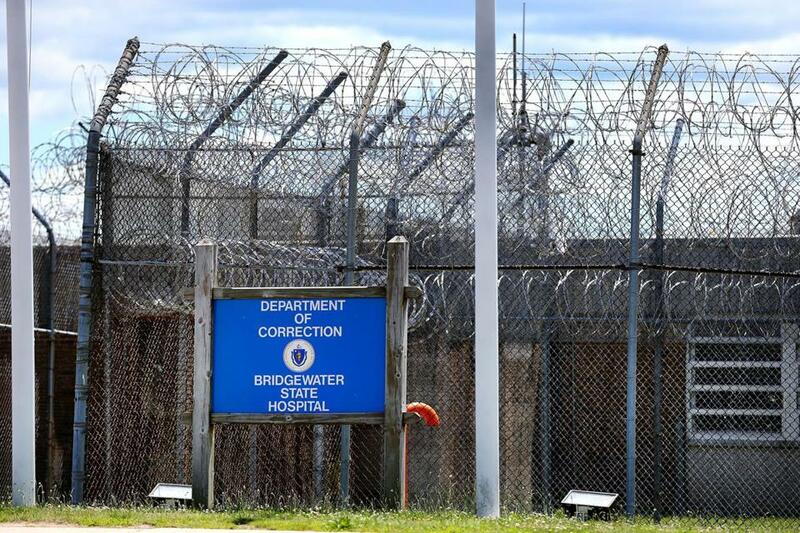 Governor Charlie Baker on Tuesday is expected to urge state lawmakers to approve funding aimed at sweeping changes in mental health care for approximately 250 men held at troubled Bridgewater State Hospital. Baker will use his State of the Commonwealth address to request $37 million in additional spending to cement a deal with a Nashville firm to provide security and clinical services for men suffering from serious mental health disorders who have become involved in the criminal justice system. His proposal — which requires approval by the Legislature — follows his previously announced plan to remove all prison guards from the facility. Baker’s administration also plans to move convicted mental health patients at Bridgewater to a mental health unit at a separate prison. “We want to bring about a much needed culture change that results in a higher level of care at Bridgewater State Hospital,” Baker said in a statement. He added that the proposal demonstrates his “strong commitment to improving the level of care’’ at Bridgewater. “It’s one thing to stand in a corner and shout insults at your opponents. It’s quite another to climb into the arena — and fight for common ground,” Baker is expected to say Tuesday evening. Baker’s request will include $14 million in new spending this fiscal year, which ends June 30, and an additional $23 million in new annual expenditures. Today, the state spends about $48 million a year for care at Bridgewater, state officials said. The Nashville company chosen by Baker to take over management of Bridgewater, Correct Care Solutions, was founded by executive board chairman Gerard Boyle, a former Bridgewater superintendent and Department of Correction associate commissioner during the late 1980s and early 1990s. Meanwhile, the Baker administration says the firm will tap Kevin A. Huckshorn to be the Bridgewater hospital administrator. Huckshorn is a former mental health care official in Delaware and a nationally recognized expert in reducing the use of solitary confinement and four-point restraints, the practice of strapping mental health patients down by their wrists and ankles. Baker’s request to the Legislature follows three years of controversy over management at Bridgewater, triggered when the Globe revealed that Department of Correction officials tried to cover up the circumstances surrounding the 2009 death of 23-year-old Joshua K. Messier. He suffered a heart attack as prison guards were wrestling him into four-point restraints. The Globe also reported that Bridgewater prison guards were using seclusion and restraints, often illegally, at more than 100 times the rate of officials at other state mental health facilities and significantly more often than officials at similar facilities in other parts of the country. 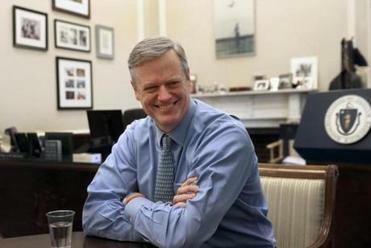 Baker is making his request to the Legislature at a time when the families of Bridgewater patients are pushing forward with a lawsuit accusing administrators of continuing the illegal use of seclusion and restraints. Under state law, the procedures can be used only in cases of an emergency where acts of “extreme violence” have occurred or have been threatened. Despite its name, Bridgewater State Hospital is a medium-security prison run by the Department of Correction, not a hospital. The facility has long been plagued with patient deaths, evidence of wholesale neglect, and the illegal use of seclusion and restraints. Several attempted reforms have either fallen by the wayside or proven to be ineffective. By contrast, while Baker has disappointed some advocates by declining to propose transferring the facility to the Department of Mental Health, the advocates have hailed his proposal to remove all prison guards from the interior of the facility and replacing them with a specially trained private security force. In addition, Baker’s plan calls for eliminating the facility’s so-called Intensive Treatment Unit, where mental health patients have long been subject to extended periods of isolation and the use of restraints, as well as the transfer of all patients who have been convicted of state crimes to another prison, the Old Colony Correctional Center. The changes will increase the staff-to-patient ratio, ensuring more comprehensive mental health care. Most of the remaining mental health patients would be men who have been charged with committing crimes — including minor offenses such as misdemeanor assault and battery — and who have been referred to the facility for psychiatric evaluations to determine whether they are competent to stand trial. However, the facility would remain home for men who have been found not guilty by reason of insanity or incompetent to stand trial, in some cases after being charged with committing murders. Administration officials said Baker will be asking state lawmakers to approve spending $14 million this fiscal year so that Correct Care Solutions can immediately begin the process of replacing prison guards with private security officers and reconstructing parts of the Bridgewater facility to more closely conform to hospital standards. Meanwhile, three prison guards indicted on manslaughter charges for the roles they played in Messier’s death are expected to stand trial later this year. The guards were indicted by a grand jury sitting in Suffolk County after former attorney general Martha Coakley appointed a special prosecutor and asked him to investigate the circumstances surrounding Messier’s death. Coakley made the appointment after Plymouth District Attorney Timothy J. Cruz said he would not seek indictments.